The World GP Bike Legends are delighted to announce our attendance at the Grand Prix de Monaco Historique, organised by the Automobile Club de Monaco, from the 11-13th May 2018. The Monaco Historic Grand Prix brings all the glitz and glamour of the motor racing of yesteryear back to life for a weekend packed with grids galore. 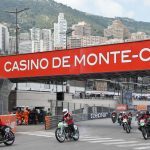 After the only Grand Prix Moto ever raced in Monaco in 1948, The Automobile Club de Monaco invited the Motos et Scooters Anciens Club of Roquebrune Cap Martin in 2018 to help celebrate the 70th anniversary of the event. 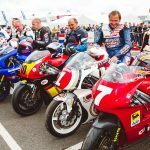 The Motos et scooters anciens de Roquebrune Cap Martin Club are very honoured to welcome the World GP Bike Legends and our Legends riders Wayne Gardner, Raymond Roche and Virginio Ferrari to share in this historic moment. Leading a parade of some of the best motorbikes ever to grace a race track, our men on the machines Wayne, Raymond and Virgino will be showcasing some of the best machinery from the coolest era of motorbike riding and racing. All Legends of the 500cc Grand Prix circuit, these riders are Best of Breed and ready to showcase their skills. With Parades taking place on Friday and Saturday lunchtimes, plus early morning on Sunday 13th May, our Legends and their machines will be taking to the race track and waking up the crowds every day over the Historic Grand Prix weekend. We would also like to thank the Moto Club de Monaco who World GP Bike Legends will be working with over the Monaco Historic Grand Prix weekend. For more information click here and follow us on facebook and twitter for updates and further information.